Ranbir Kapoor might get MARRIED soon! Actor Ranbir Kapoor has been busy with promotions for his latest film ‘Sanju’ the past few days. ‘Sanju’ is directed by ace director Rajkumar Hirani. The film is a biographical account of the scandalous and controversial life of actor Sanjay Dutt. Ranbir Kapoor is portraying the role of Sanjay Dutt. The movie stars a bunch of other actors as well who will be seen playing people with key roles in Sanjay Dutt’s professional and personal life. 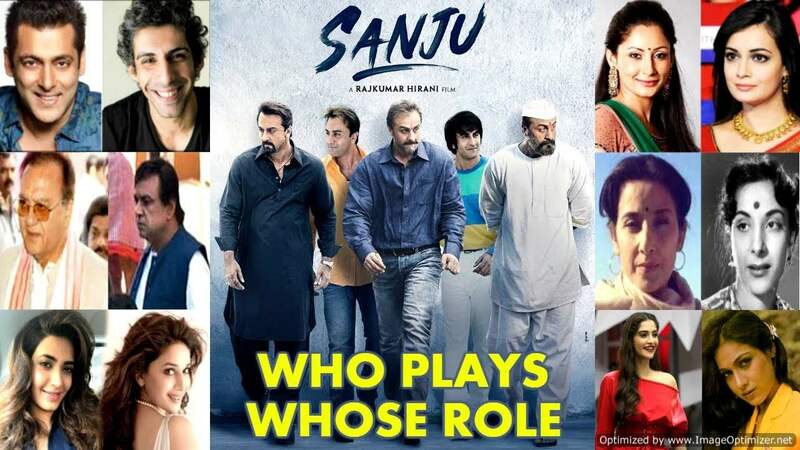 Besides Ranbir Kapoor, the film also stars Dia Mirza as Sanjay’s wife ‘Manyata Dutt’, Sonam Kapoor as his rumoured girlfriend ‘Tina Ambani’, Paresh Rawal as his father Sunil Dutt, Manisha Koirala as his mother ‘Nargis’, Anushka Sharma as a biographer, Vicky Kaushal as Sanjay’s best friend and brother-in-law ‘Kumar Gaurav’, Jim Sarbh as ‘Salman Khan’, Karishma Tanna as one of his girlfriends ‘Madhuri Dixit’, Boman Irani as director ‘Sanjay Gupta’ and Tabu who plays herself. 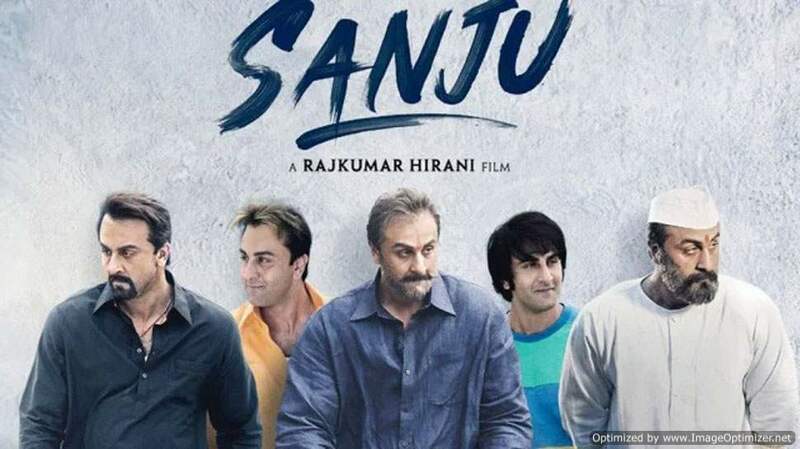 Sanju finally releases today and fans are very excited to watch the magnificent life of Sanjay Dutt being portrayed on screen. Ranbir had been promoting the film heavily this past couple of weeks and in one such promotional events, Ranbir Kapoor took over the social media of one of the producers of his film ‘Sanju’. Ranbir Kapoor interacted with his fans on Twitter through the official Twitter account of Fox Star Hindi. It was the occasion of Fathers’ Day and the actor shared many personal stories on Twitter with his fans and also shared a couple of pictures with his father Rishi Kapoor. During this interaction, a fan asked Ranbir “When will you marry?” To that, Ranbir replied, “Soon Hopefully”. 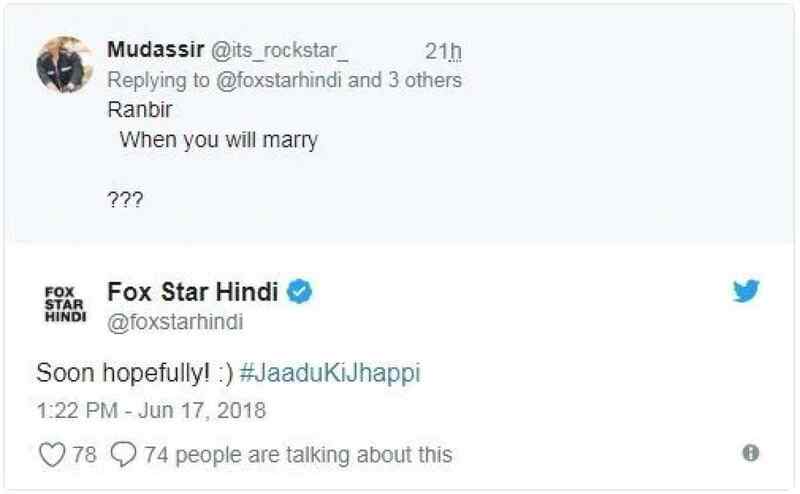 Looks like Ranbir is all set to get married. Ranbir’s girlfriend Alia Bhatt also said in her recent interview that she might surprise everyone by getting married before the age of 30. She also said that she doesn’t believe in live-in relationships and will get married because she wants to have kids. A few weeks ago, Alia went for dinner with Ranbir’s mother Neetu Singh, his sister Riddhima Kapoor Sahni and niece Samara. They were spotted leaving an upscale Mumbai restaurant post dinner. Alia was walking hand-in-hand with Samara. 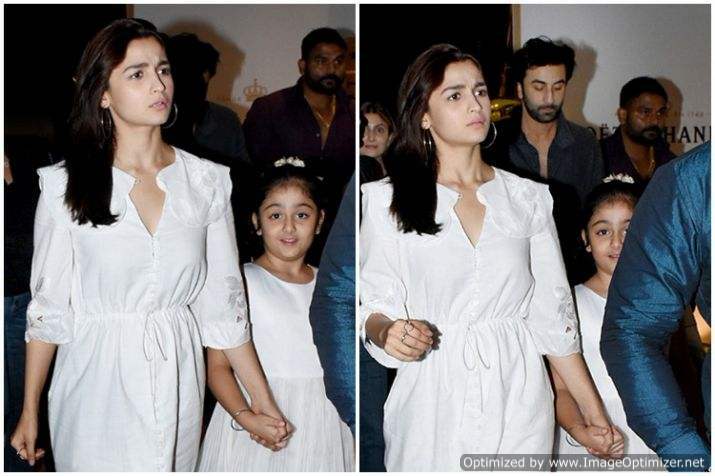 Alia Bhatt has grown quite close to Ranbir’s family. Ranbir’s sister Riddhima even sent her a beautiful bracelet. 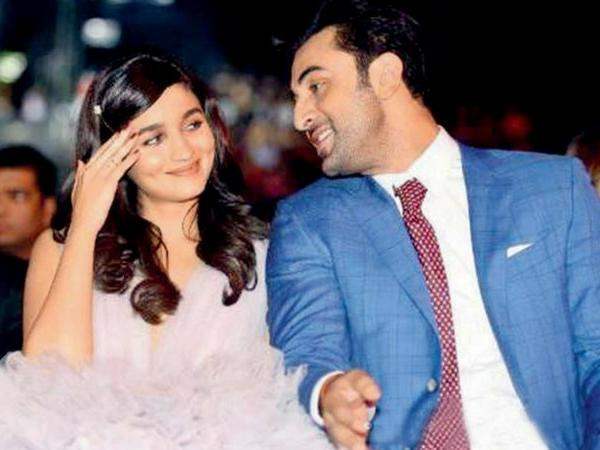 The two, Alia and Ranbir, have already confessed their mutual liking towards each other. Does that mean they might get married soon? Next story Kangana To Reunite With Her Bollywood GODFATHER After 8 Years! See Details Inside! Previous story Karan Johar’s Adorable Twins Yash & Roohi Wish Him On Father’s Day. VIDEO INSIDE!